It’s amazing what can be achieved with waste. 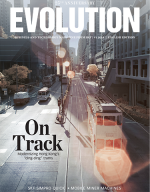 Thanks to advances in technology, Renova is transforming waste into valuable energy. Every year, the Renova waste-to-energy plant in western Sweden provides about a third of the district heating for the Gothenburg region. 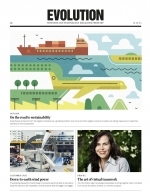 It also supplies 5 percent of the electricity needs of Gothenburg, Sweden’s second-largest city. That’s not bad considering it’s all generated from waste that can’t be recycled. 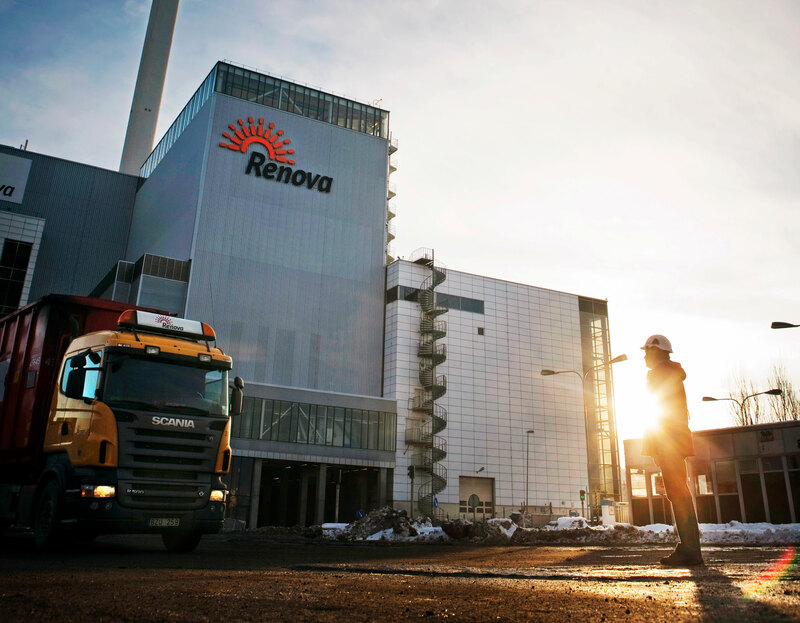 The Renova waste-to-energy plant in Sävenäs, Sweden, is part of the Renova Group, which is owned by 10 municipalities in western Sweden. Renova offers collection and transport of waste and recyclable materials, waste management services and advice and training to property owners and the construction industry. At the plant in Sävenäs, waste is combusted into energy. 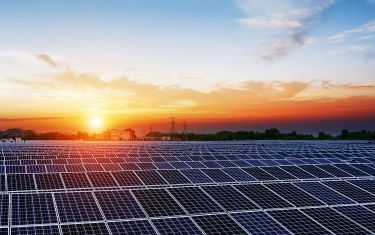 The energy from just one kilogram of waste can provide enough warm water for a 7-minute shower or three hours of electricity for a computer. The Renova plant, located in the industrial park of Sävenäs, operates throughout the year, 24 hours a day, incinerating waste. Each tonne of waste is combusted and converted into 3.3 MWh of energy in the form of electricity and district heating. Today we have increased operational reliability. The waste is incinerated in three giant furnaces. Each furnace includes primary fans, which oxygenate the fires at an even 1,000 degrees Celsius. Secondary fans circulate the air within the fire chamber, and recirculation fans dry the waste. These fans are critical for the plant’s operations. 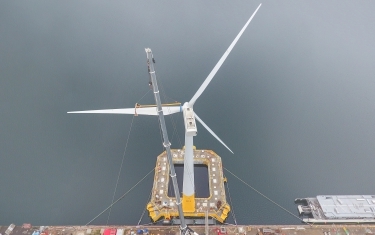 If a single fan stops circulating, it can cost the plant 100,000 euros. Ensuring the reliability of this rotating equipment has been crucial for the plant; to that end, Renova and SKF have been working together for the past 10 years to ensure that there are no unplanned maintenance stops. Göran Klamas, Renova plant manager. As the name suggests, SKF’s Proactive Reliability Maintenance (PRM) programme gets to the root cause of failures and provides measures to prevent their recurrence. SKF systematically diagnoses the causes of failures by applying best-practice predictive maintenance activities and other processes. 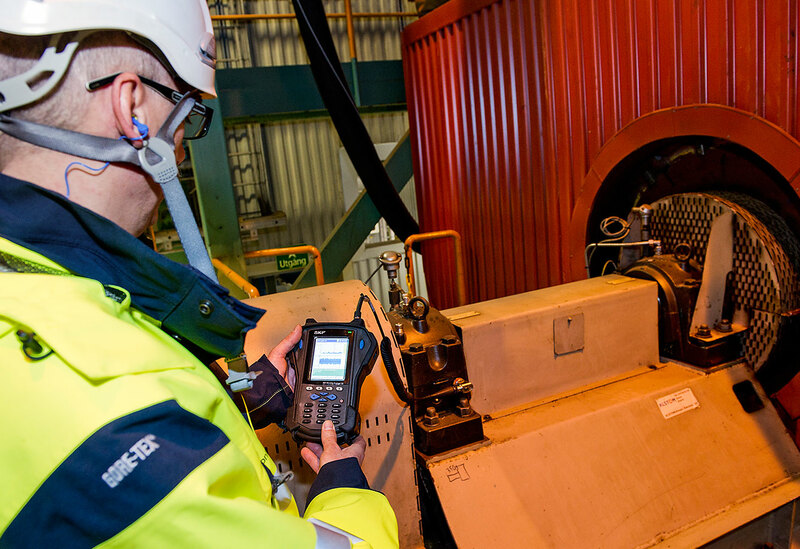 Through a PRM service contract, SKF is helping the Renova waste-to-energy plant in western Sweden improve its operational efficiency through measuring and service activities and bearing and lubricant analyses. Through PRM, SKF has identified and classified close to 40 critical Renova machines and can provide quick overviews in the form of reports and other visual displays, indicating where extra maintenance measures are required. The measurements provide the maintenance department with a clear picture of possible upcoming problems in equipment so they can take corrective action before an emergency situation occurs. 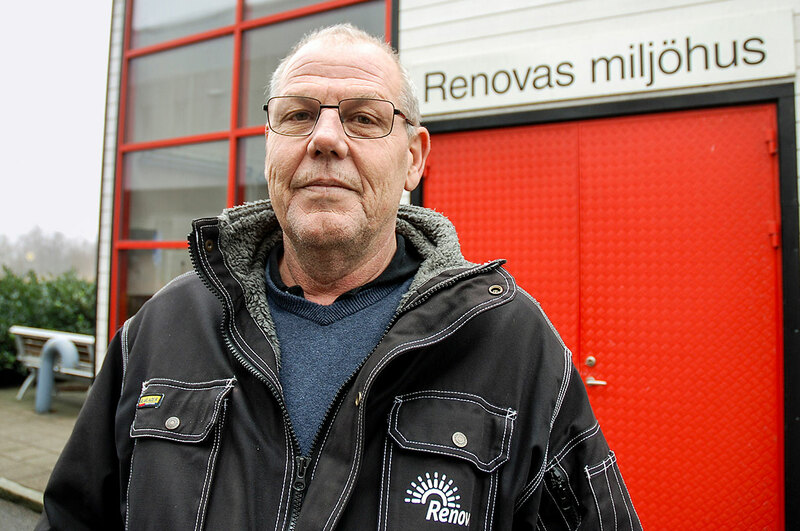 Renova uses hybrid diesel garbage trucks to collect waste in the Gothenburg area. Lubricant analyses, which are conducted mainly because of strict environmental demands, can also be helpful for identifying operational issues. “Lubricant analysis can identify entirely different causes of downtime than what was previously thought to be the cause,” says Lindahl. “It could be improper lubrication, water indicators or bearing temperatures that are too high, which can increase the risk of dangerous chemical substances forming. 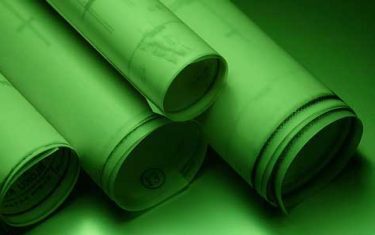 The grease can oxidize, the viscosity can change and acid can be formed that damages the bearing surfaces.” Essentially, such analyses can help avoid a possible disaster. Per Lassen, vibration specialist, SKF, collecting data in the plant. Fortunately, such acute maintenance issues can be avoided through the PRM activities. In 2016 the Renova facility experienced not a single emergency stop, compared with five emergency stops 10 years ago. With the PRM contract in place, just two planned maintenance actions were carried out in 2016, half as many as a decade ago.